Over the past few decades, television entertainment has certainly changed. When television first came out, there were less than a handful of channels and rarely any re-runs of programs. As time went on, more channels emerged and large networks became established. Eventually, programs normally only available on larger networks began to fall under smaller channels provided exclusively to different cable providers and as well as under channels that required monetary sacrifice in addition to a regular cable bill for viewing. Most recently, television programs, documentaries, movies, etc. have been made readily available via streaming services such as Netflix. Evidently, Sony's PlayStation 4 and Microsoft's Xbox One may be the newest providers of exclusive television entertainment and may very well change the definition of what a television channel is. Both of the aforementioned consoles are already capable of streaming media via services such as Netflix. 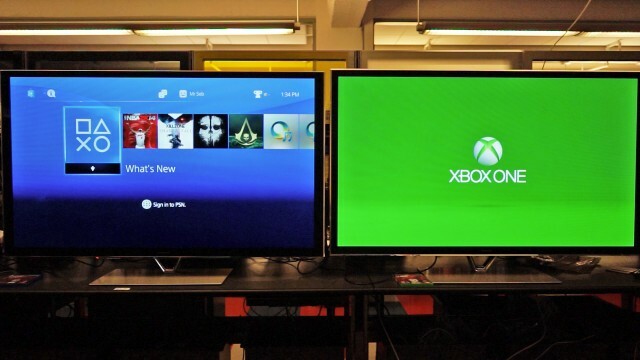 However, according to a source at Forbes.com, the two consoles will be used to provide programming for themselves. To elaborate, since the Xbox One's first revealing, Microsoft has been planning their own "Halo TV Show" which will be provided exclusively via the Xbox One. Perhaps this show will be some sort of form of an upgraded Red vs Blue agenda. What is interesting to note, however, is that both Microsoft and Sony plan on taking their console-exclusive television shows to realms not necessarily involved with gaming. For example, the first PS4-exclusive TV show will not be based on a game or gaming in general, but instead on a graphic novel called Powers. The novel itself was made by writer Brian Michael Bendis and artist Michael Avon Oeming and was initially in a pilot stage to be featured on FX. If all goes well with these first two programs, it is entirely possible that we could be seeing Microsoft and Sony producing a larger batch of their own exclusive content and TV shows. As far as the reason behind this outreach made by Sony and Microsoft is concerned, it is more than difficult to say. Some may make the argument that the two companies wish to be able to say they are not just an influence in the video gaming world, but that they are an influence in the macro-scale of media. Others may claim that the reason is to provide an extra incentive for gamers to sign up for Xbox Live Gold or PlayStatyion Plus. Exclusive content is known to attract gamers, nevertheless, it is tough to say that these few console-exclusive TV shows will be the deciding factor in winning over potential customers. For example, even if people are fans of Powers, they probably will not go out and buy a PS4 and pay for a PS Plus subscription just to watch the adaptation. To be fair, however, if a person likes to play video games and likes Powers, they will have the extra incentive and may be more inclined to purchase a console and sign up. At best, I can side with the theory that these TV shows are simply extra bonuses for Xbox Live Gold or PlayStation Plus members insofar as there is an opportunity for expansion. To explain, if these shows are truly successful, companies may offer big bucks for broadcasting rights on television or on streaming services. Additionally, when these shows are ran, it is more likely than not that there will be some form of advertisement throughout the duration of the shows. With this in place, Miscrosoft and Sony would have the opportunity to provide some extra incentive to potential customers while also gaining revenues from advertising. Although I see potential reasons why Sony and Microsoft would go in this new direction, I still cannot fully wrap my head around the idea of a console-exclusive TV show. Perhaps when more specifics about the shows and the two companies' plans are released, clarity will come for all of us.